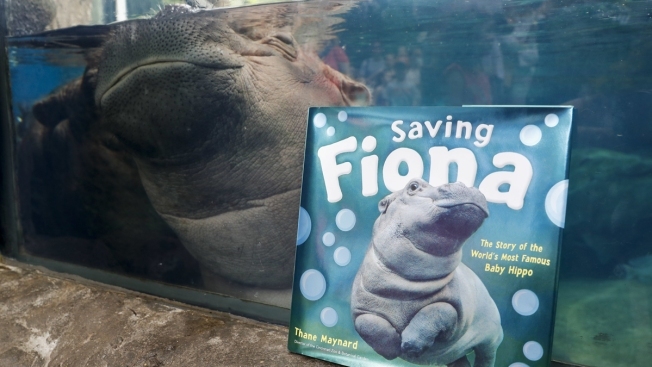 A new book "is reaching kids and families with a message of hope ... never giving up"
In this June 26, 2018, photo Fiona, a baby Nile Hippopotamus, sleeps in her enclosure beside a copy of "Saving Fiona," posed for a photograph at the Cincinnati Zoo & Botanical Garden, in Cincinnati. The Cincinnati Zoo's globally famous premature hippo does more than help sell T-shirts, bobbleheads and ice cream. She is becoming a teaching tool in classrooms and libraries and subject of a series of books with the latest by the zoo's director Thane Maynard. Just call her Professor Fiona. "She has taught us a lot," Maynard said. 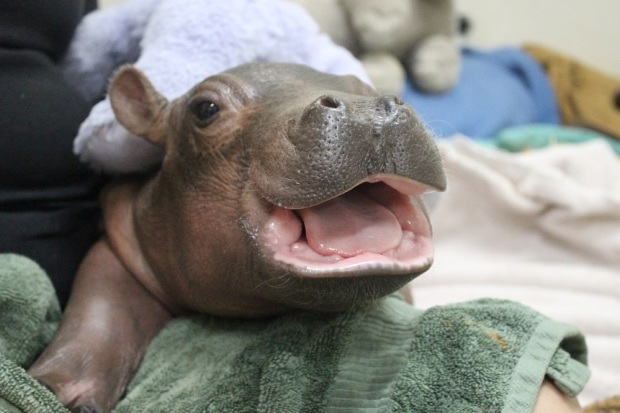 It's believed Fiona is the smallest hippo ever to survive. Born nearly two months early, she was 29 pounds (13 kilograms), a third the size of a typical full-term Nile hippo and unable to stand or nurse. Sometimes the pictures just speak for themselves and that's certainly the case with young Fiona. 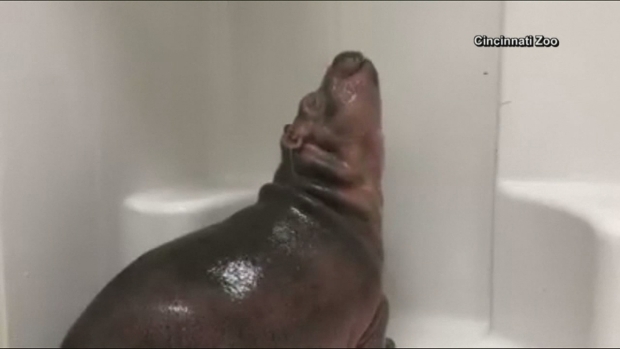 Earlier this week the baby hippo's keepers at the Cincinnati Zoo let little Fiona wander around the facility. It didn't take long before she found the shower. Fiona played in the water and eventually took a nap with the water running. His book is aimed at young readers, telling Fiona's against-the-odds story while loading in facts about hippos, such as that they can outrun humans and are herbivores that can be dangerous because of their size of up to 5,000 pounds (2,267.96 kilograms).